Several months ago, I traveled to Peru for a 5 day trek to Macchu Picchu. 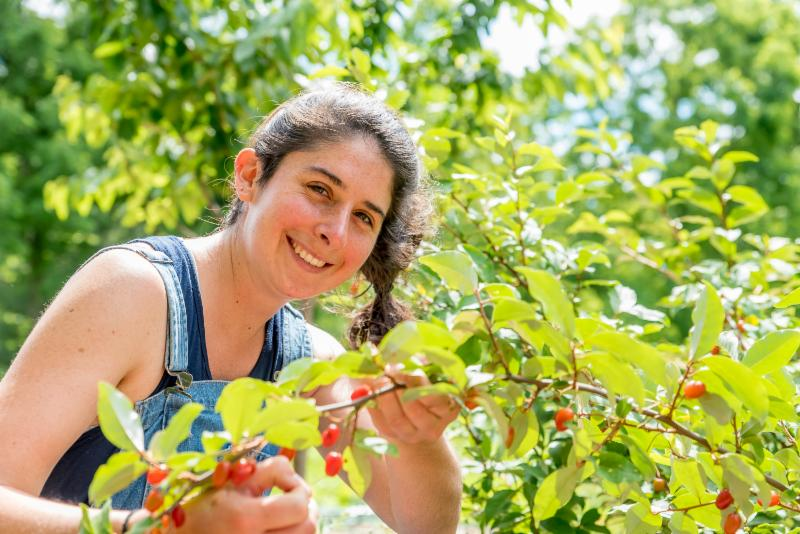 Although the views were breathtaking, I couldn’t help but be distracted by the many small farms along the hike growing delicious fruit that we don’t grow here in Pennsylvania. 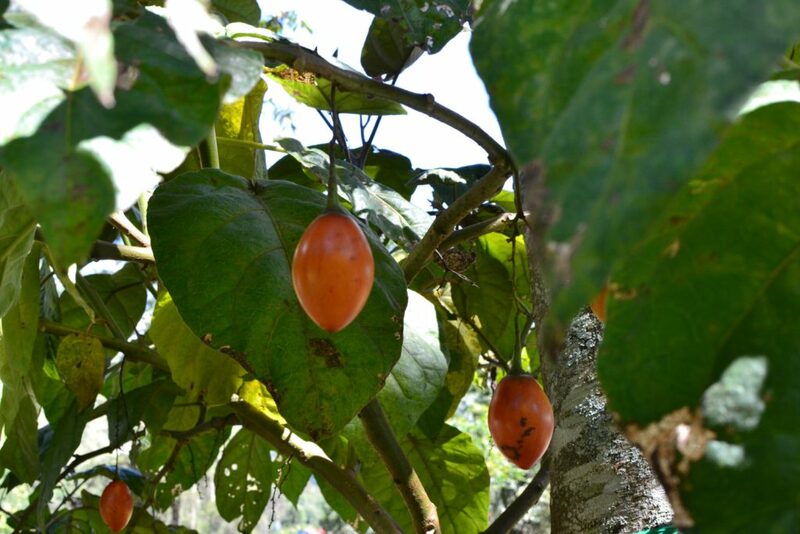 From the well known banana and avocado to more unusual fruits, like the passion fruit and wild tomato. 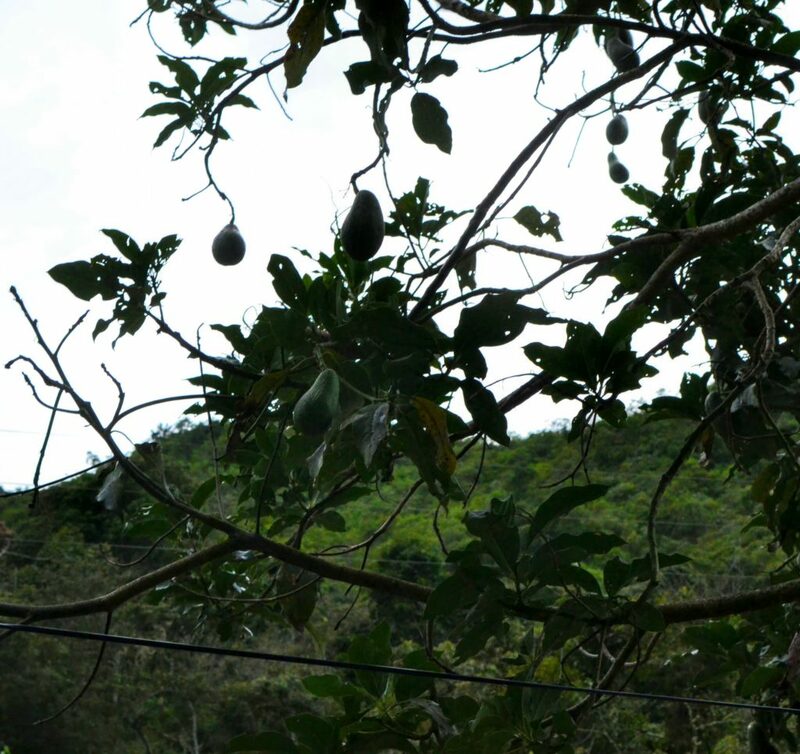 As we hiked from the high mountains down to the rain forest, the fruits that were growing changed with the elevation. Many of the farmers shared their bounty with us and allowed us to try some of these exciting fruits for the first time! 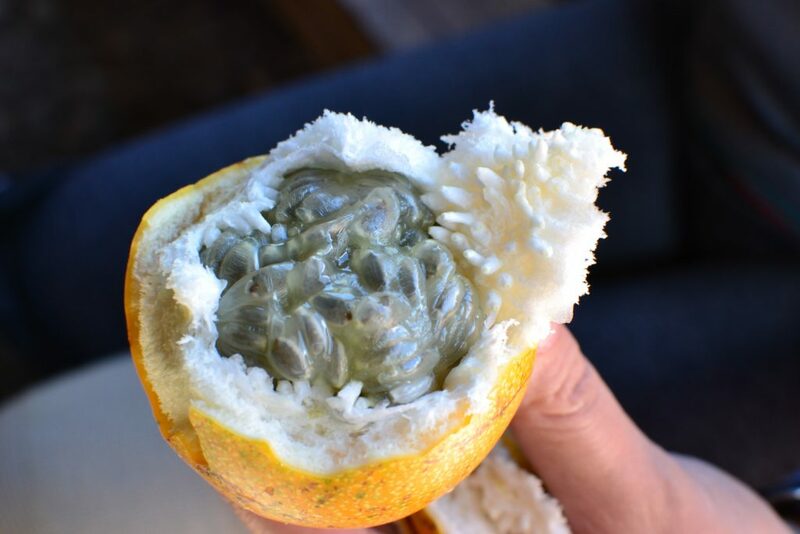 One of my favorite fruits that I tried on this trip was the yellow passion fruit (passiflora edulis). It has a hard, thick skin that you can hit on a table or hard surface to break open and peel to get to the gooey seeds. This type of passion fruit is self fertile, and its vines can be found creeping in unlikely places like power lines. 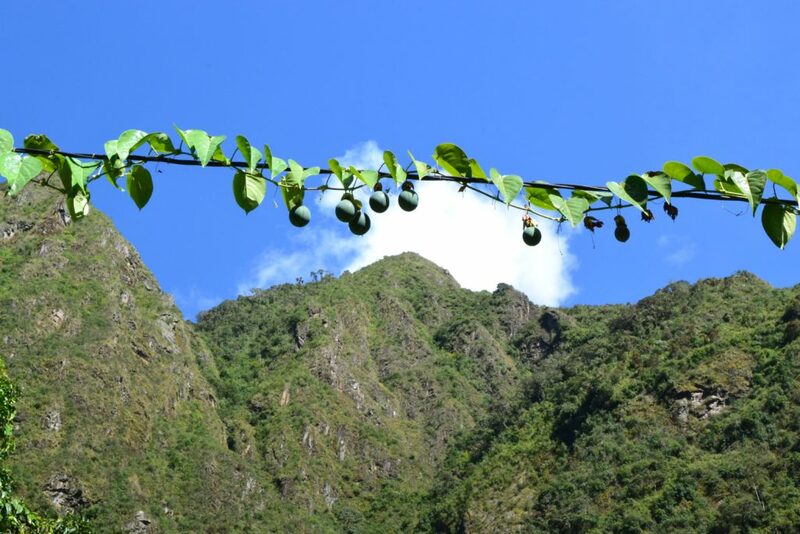 Peru has almost the perfect climate for growing avocado (Persea americana) because of the consistently mild temperatures and the rich, sandy soils. Many different cultivars are grown, but the ones I encountered were about 3-5 times as large as the small avocados you find in the grocery store here. They are rich and creamy and grow on very tall trees. The ground cherry (physalis peruviana), also know as Inca berry, poha berry, or golden berry, is sweet and acidic. It is in the nightshade family and up to 90 species of ground cherries are indigenous to South America. The fruit is enclosed by a large papery husk similar to a tomatillo. The sachatomate is native to Peru and several other South American countries. 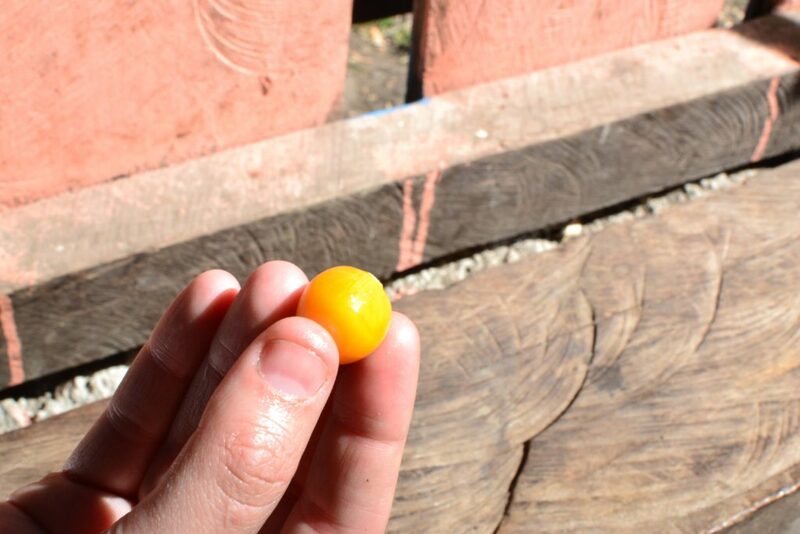 It is an egg shaped tomato like fruit that grows on a tree. Its name literally means “tree tomato” in Quechua, but in other parts of the world its known as tamarillo. I didn’t get to taste one of these raw, but I had it in a compote that was delicious! Peru is one of the top 10 coffee producers in the world, and we saw coffee being grown on almost all of the farms that our hike took us through. 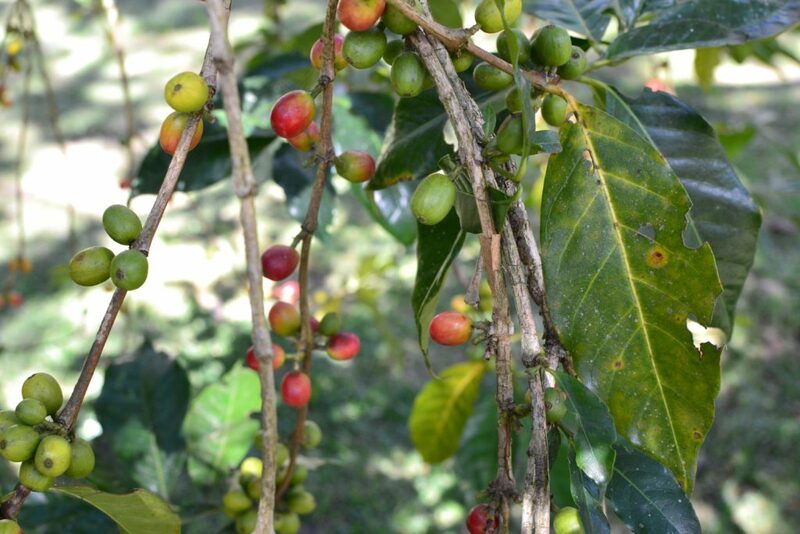 These coffee plants are being grown in the shade of other fruits such as bananas. This traditional “shade-grown” technique is still used by small farms throughout Peru and allows coffee to be grown without needing to clear forests and using fewer pesticides and fertilizers. Below you can see a photo of a coffee berry; the coffee bean is the seed inside the berry. 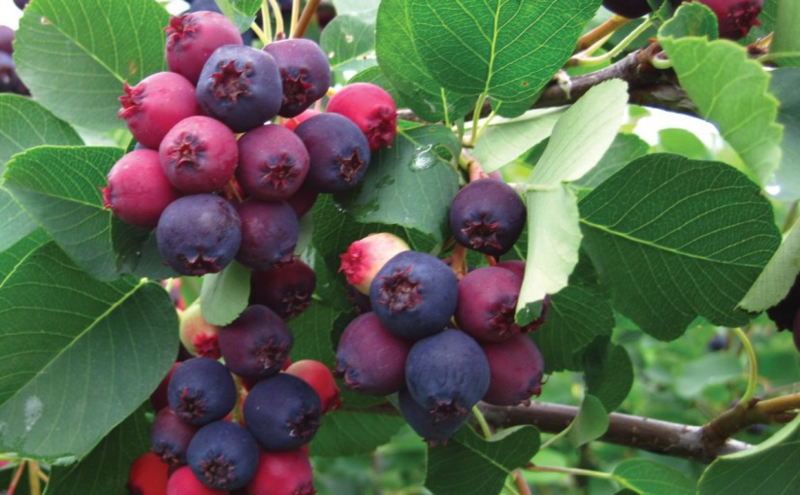 The berry is edible; however, it a fairly mild sweet taste, and there is very little of the flesh of the fruit. 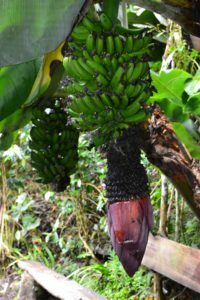 As our hike took us to lower elevations, banana farms started cropping up all around us. Bananas are often mistaken for palm trees; however, they are actually perennial herbs. Banana trunks consists of all the leaf stalks wrapped around each other. New leaves start growing inside, below the ground. They push up through the middle and emerge from the center of the crown. So does the flower, which finally turns into a bunch of bananas. A banana plant takes about 9 months to grow up and produce a bunch of bananas. Then the mother plant dies. At the base of a banana plant, under the ground, is a big rhizome, called the corm. 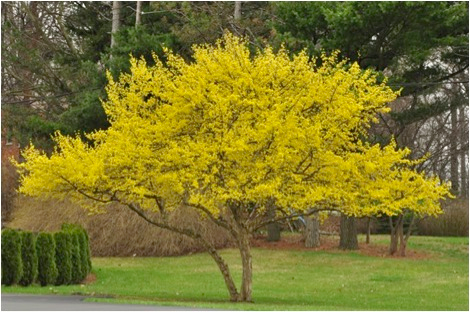 It has many growing points that turn into new suckers. These suckers can be taken off and transplanted, and one or two can be left in position to replace the mother plant. 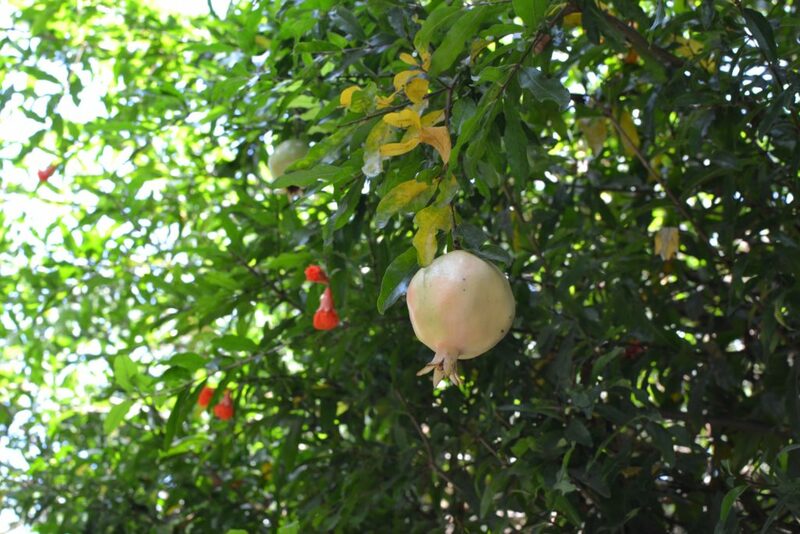 The pomegranate (punica granatum) is originally from Iran, but it was brought to South America in the 16th century. Pomegranates have a thick bright red skin and edible juicy tart seeds inside. 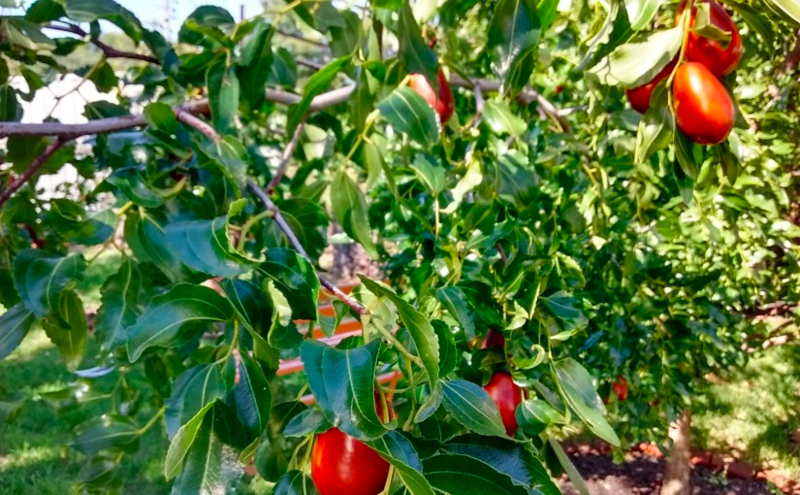 POP is experimenting with growing pomegranate trees in our orchards and a few have begun to bear fruit! 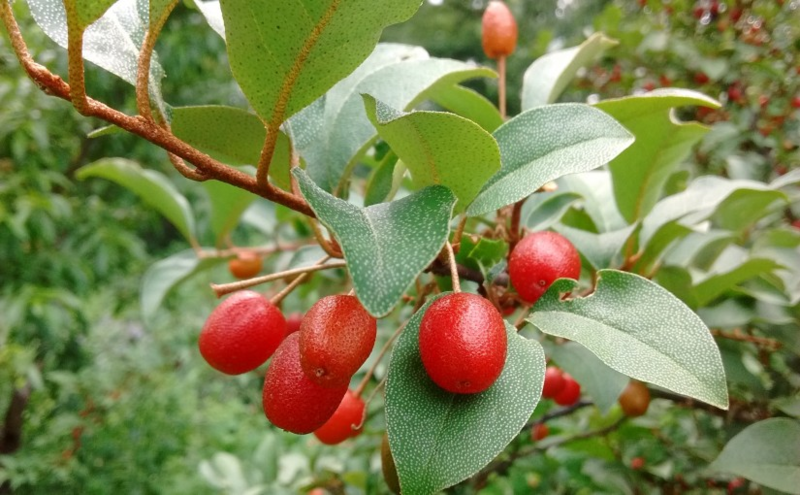 This POP Plant Highlight written by POP Development Director Tanya Grinblat.